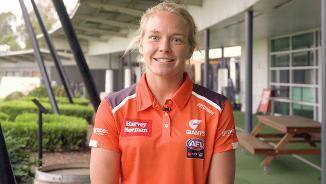 Five GIANTS have been selected in the 2018 Virgin Australia AFL Women’s All Australian squad of 40. 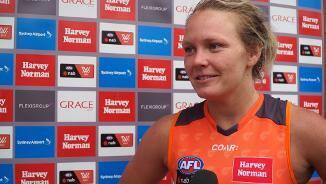 GIANTS forward Phoebe McWilliams has told podcast A Club Like No Other that a strong sense of belief is driving the AFLW squad to success. 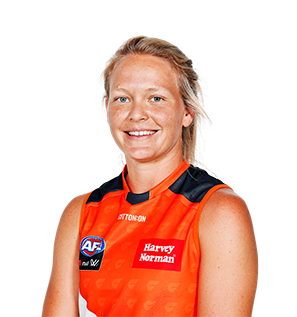 Phoebe McWilliams is one of the GIANTS’ three Victorian priority players. She is another key position player who has played for the St Kilda Sharks for 10 years. The 31-year-old is known for her skills up forward but can also be sent back to help out in defence. 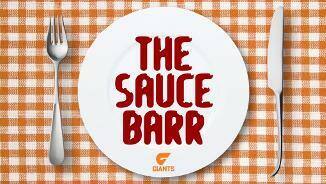 She is a freelance writer who has previously worked for the Melbourne Cricket Club. The Victorian played for the St Kilda Sharks in the VFLW for the past decade and was snapped up as one of the GIANTS' priority selections. Her experience and ability to play in either of the key positions makes her a valuable member of the squad.